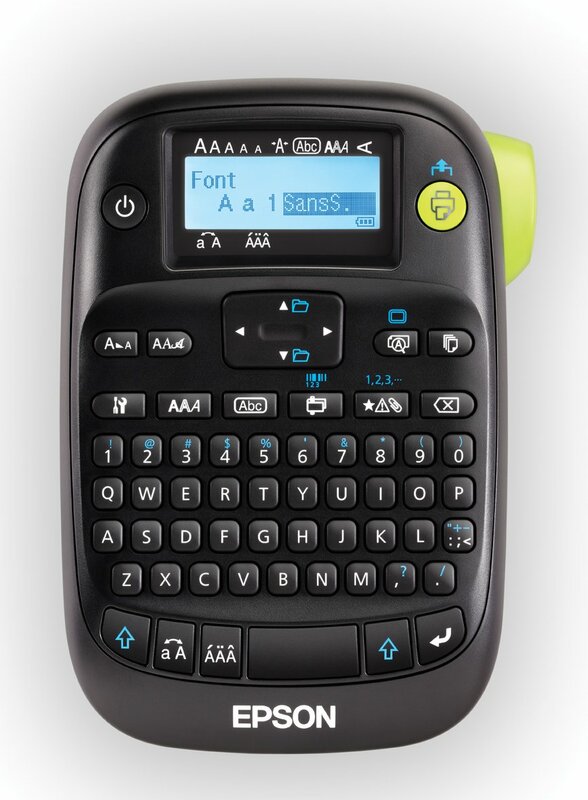 Meet the EPSON LabelWorks LW-400, a powerful new label maker that turns organizing into an art. Featuring a backlit display, it helps you make labels anywhere, anytime. Choose from a huge range of symbols, frames, fonts, barcodes and tapes in a variety of styles, sizes and colors. The LW-400 is both easy to use and efficient (dramatically smaller margins mean up to 60% less label waste). The LW-400 is an office powerhouse. With amazing versatility and a large, built-in memory, it stores up to 50 files, so you can save those commonly used labels. Use it for barcodes, A/V and computer wiring and just about anything else. Or, use it around the house. In any case, the LW-400 will transform how you organize and give you a new outlet for your imagination. Packaging Specifications (W x D x H) — Dimensions: 7.7″ x 3.1″ x 7.8″ and Weight 1.53 lb.